Bert the Turtle in the 1951 classic nuclear preparedness film taught us school children to Duck and Cover in the event of a nuclear attack. A decade later, President Eisenhower warned us of the power of the military-industrial-complex in his farewell address to the American people. Indeed we may well have that alert and knowledgeable citizenry to thank that we haven’t already blown the world up with nuclear weapons. 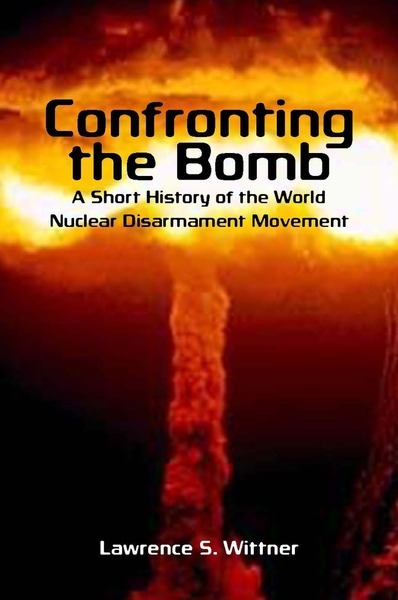 As history professor Lawrence Wittner so clearly demonstrates in his eye-opening book, Confronting the Bomb: A Short History of the World Nuclear Disarmament Movement. In this 2008 title Wittner notes the pressure that citizens around the globe have fashioned to bring us back from the brink of nuclear madness. Markey bravely takes on the sitting president of his own party with a fervor rarely displayed in these highly partisan times. Markey has been a long time advocate for ridding the world of nuclear weapons. Last week he challenged the madness of the Obama approach along with the apparent hypocrisy from the pledge Obama made when receiving the the Nobel prize in Prague. He particularly goes after the nearly $1 Trillion dollar investment the Obama budget. In doing so he highlights a key component of this $1 trillion waste – building new nuclear weapons (modernizing) that would arguably make the use of nuclear weapons more ‘thinkable’. Sen. Markey offered an amendment S.Amendment 4241 to SB 2943 the National Defense Authorization Act of 2017 on Thursday to halt authorization of funds for the new weapons for the budget year 2017 that begins in October. As noted in his floor speech, he is pleading for at least some Congressional debate over the wisdom and consequences of going down this road. If ever in our lifetime we are to stop the madness of nuclear annihilation we had better contact on Senators to support the Markey amendment in hopes that we might stave off not only the construction of new weapons of mass destruction, but to redeploy the huge waste of money that could be directed to addressing the challenges of climate and inequality. We need to act soon as the Senate will be taking up this spending bill very soon. If this short blog doesn’t move you from the comfort of your chair, please view Sen. Markey’s message to his fellow senators last week. We’re all in this together.